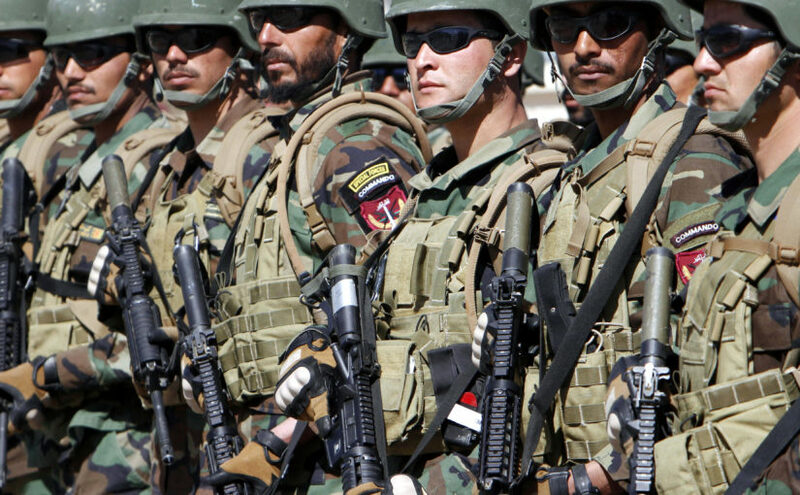 KABUL: The Ministry of Interior (MoI) has rejected as baseless a reported released by the Special Inspector-General for Afghanistan Reconstruction (SIGAR) as saying that the number of the Afghan security forces have dropped to 308,693 with the main capacity was 86.7 percent. Nasrat Rahimi, the ministry’s spokesman the ministry of interior has now up to 2,500 reserve troops, being used in case of troops’ casualties or quitting job within the ministry. Addressing a media conference, the spokesman said that no decline has been seen in the ministry’s troops number and if so, the public order police would be used to supply national, local and public order police forces. While peace negotiation is going on between the US and Taliban representatives and the talks are expected to be restarted in Qatar in February 25, the US is expected to pullout its troops from the country, so Afghan forces would become under more pressure. The SIGAR has said over 53,8 percent of the country was under the government control, while the remaining are dominated by the Taliban militants as Raters reported recently. However, the spokesman rejected if the government armed oppositions have control over any of the country’s strategic area. “We don’t reject if the Taliban no control over any of the country’s sites, but it should be noted the enemies of the people of Afghanistan have no strategic site under their control,” said Rahimi. He said the Taliban armed militants have only 19 districts under their control, and the remaining are controlled by the government. According to him, in the recent four months the country’s security forces’ casualties have eye-catchingly reduced, due to increase in offensive attacks against the enemy. Rahimi believed the country’s security forces could resist against the enemy, if the international community help and train them. Military analyst, Javid Kohistani told The Kabul Times that foreign forces shouldn’t hurry to leave the country, unless the people of Afghanistan reach peace. People living in the remote parts of the country are fearing that Taliban and Daesh insurgents would influence more than ever, if the foreign forces leave the country.